Death Squared is part Office Space, part Portal, and all puzzle. Families can play Death Squared in Story, Party or Vault. Expect to watch your death count climb as you make mistakes and figure out how to get all of the robots on their destination squares. All robots must be at their destination squares for a level to be completed. This is harder than it sounds at times. The human working with the computer in Death Squared reminded me of so many different other works of entertainment. From 2001 A Space Odyssey to The Office. There is plenty of humor in Death Squared. Warning some of the humor in Death Squared is crude. The robots can fall to their death, and be exploded to smaller bits in Death Squared as well. I am not sure why the ESRB was not capable of denoting those things. I found them pretty quickly when I played Death Squared. The puzzles in Death Squared can be hard. My brain hurt after playing Death Squared. In fact I started to look like Einstein with my hair all standing up. Maybe all of the electrons in my brain were firing and causing static electricity on the top of my head. Or maybe my frustration was making me run my hands through my hair making it stand up on its ends and defying gravity. I learned to study the problems and work the solutions in Death Squared. Like I was doing Algebra or something. The music relaxed me and I had all kinds of responses to the comments by the human in Death Squared. There are eighty levels in this downloadable only home console video game. I am thankful Family Friendly Gaming was given a digital download code for Death Squared on the Nintendo Switch. 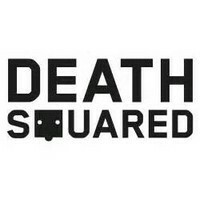 Death Squared can also be found on the Personal Computer(PC), Playstation 4, and Xbox One. Death Squared is a cooperative puzzle designed for more than one player. One player can enjoy this puzzler by using both joysticks on the controller. It can get confusing which color is which joystick as the robots move around the map. I had fun playing Death Squared.